Obamacare’s third open enrollment season kicked off yesterday, beginning the next chapter in its turbulent history. 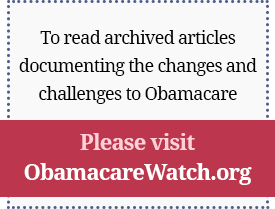 Today’s post discusses what we know about Obamacare. Tomorrow’s will discuss what we don’t yet know. Fewer people are uninsured. How many fewer is a matter of dispute, but the improvement is substantial by any measure. HHS Secretary Sylvia Burwell credits Obamacare with reducing the number of uninsured people by 17.6 million since 2010. And though you’ll likely hear this number repeated (and often rounded up to 18 million), it’s almost certainly exaggerated. The Census Bureau estimates that 47.2 million people were uninsured in 2010; that number had fallen to just below 36.7 million in 2014, a difference of 10.5 million. That’s a lot, but an awful lot less than the 17.6 million figure the Administration touts. Some of that decrease occurred during the economy’s fitful emergence from the worst recession since the 1930s. By 2013, the year before Obamacare fully kicked in, the number of uninsured already had fallen by two million from its 2010 peak. That said, Obamacare’s implementation can fairly be credited with reducing the number of uninsured by 8.5 million in 2014. And though that’s only about half the Administration’s inflated number, it is a significant achievement. When the final figures for 2015 are in, we can expect that number to look better still. Most newly insured people have gained coverage through Medicaid, not through the exchanges. The impressive decline in the number of uninsured is almost entirely the result of Medicaid expansion in 31 states and the District of Columbia according to a recent report by Ed Haislmaier of the Heritage Foundation. While the number of people enrolled in individual private coverage increased by 4.8 million, nearly 4.5 million people lost employer sponsored insurance, for a net increase in private coverage of just under 260,000. Things were different on the Medicaid side, where the rolls increased by nearly nine million, 8.3 million of those in states that expanded their program. In all, 97 percent of the net increase in newly insured people was accomplished by Medicaid, not private health insurance coverage, according to the study. Obamacare is a good deal for uninsured people with pre-existing conditions and those with incomes below 200 percent of FPL. Obamacare is a godsend for people who expect to incur medical costs that exceed their premiums. It is also a pretty good deal for many low-income people. Some low-income people who don’t qualify for Medicaid (either because they earn too much or live in a state that hasn’t expanded its program) have found that exchanges offer an attractive option. Such policies are most popular among those with incomes below 200 percent of the Federal Poverty Level ($23,540 in 2015 for an individual, $40,180 for a family of three). A study published earlier this year by health consultancy Avalere found that more than three-fourths of uninsured people earning less than 150 percent of poverty had obtained coverage either through Medicaid or the exchanges. For those in the 151-200 percent of FPL range, the number fell to 41 percent, not overwhelming but still quite respectable. There is good reason for Obamacare’s relative popularity in those income brackets. In addition to premium subsidies, those with lower incomes also receive what’s called “cost-sharing assistance.” This requires insurers to keep deductibles and coinsurance amounts very low. A 30-year-old earning $17,500 is paying less than $60 per month in 2015 for coverage (thanks to premium assistance) with a deductible generally around $250 (thanks to cost-sharing subsidies). The cost-sharing subsidies, however, drop in cliffs. They become less generous at 151 percent of poverty, virtually worthless at 201 percent of poverty, and disappear entirely at 251 percent of poverty. Obamacare policies haven’t attracted many people who don’t qualify for meaningful cost-sharing subsidies. More on that below. Subsidies can land you in trouble with the government. Subsidies (especially cost-sharing subsidies) are clearly beneficial, but they can be complicated – both for consumers and for the government. Since premium subsidies vary with income, an additional $1,000 in earnings means having to pay, on average, $150 more for health insurance. Earnings for people in the lowest income brackets can fluctuate much more than for those with higher incomes. Since subsidies are based on an enrollee’s best guess about his or her wages, errors are frequent. A Kaiser Family Foundation study published last spring found that 45 percent of subsidy recipients had received less from the government than they were entitled to, while 50 percent had received too much. That’s a 95 percent error rate, bad even by government standards. Those who receive too much must pay the IRS back with interest and may also be subject to penalties. And everyone who receives a subsidy has to file federal income taxes, something low-income people are unaccustomed to doing, since the government levies no income tax on their wages. They also have to file an additional form to determine whether the subsidies they received were too large or too small. The New York Times reports that nearly 1.5 million people who received subsidies last year failed to file one or the other form. They are in for a nasty surprise: the law cuts off their subsidies, effective January 1. Obamacare is a bad deal for most uninsured people with incomes greater than 200 percent of FPL. As sticky as things can get for people who receive government subsidies, life is worse for those who fall off the cost-sharing subsidy cliff. Premiums and deductibles are much higher than for those with lower incomes. That combination of premium and deductibles can be daunting, in some cases amounting to 20 percent or more of their income. It is little wonder that four out of five uninsured people with incomes between 251 and 300 percent of FPL have so far preferred to remain uninsured. Avalere estimates that 98 percent of uninsured people with incomes over 400 percent of FPL spurned Obamacare coverage. Premiums are going up. If Obamacare policies were unappealing to uninsured people with incomes exceeding 200 percent of FPL this year and last, they will be even less appealing in 2016. How much premiums will rise depends on where you live and which plan you’re enrolled in now. Health insurance industry veteran Robert Laszewski reported earlier this year, for example, that Care First Blue Cross of Maryland, which has an 80 percent market share, sought a 34 percent rate hike. The Blue Cross plan in Tennessee, which controls 70 percent of the market, asked regulators to approve an increase of more than 36 percent. So why did HHS recently announce that premiums for benchmark plans will rise by an average of “only” 7.5 percent? Because some of the insurers who raised their premiums the most no longer will qualify as benchmark plans (the second cheapest policy on the Silver tier). Since the all-important subsidies are based on benchmark plan premiums, most people will likely switch to new benchmark plans to avoid the big premium increases. Most plans have narrow provider networks, meaning that many who change insurers will also have to change doctors. But there is a silver lining: so long as their incomes haven’t risen, taxpayers will pick up the entire cost of the premium hike. Those who don’t qualify for subsidies, of course, will have to pay the higher premiums out of their own pockets. But, then again, very few exchange participants are unsubsidized. Only 14 percent of those who enrolled through the healthcare.gov website are paying their own premiums without government help. Tomorrow’s post will discuss what we still don’t know about Obamacare.